Aston Martin to enter F1 in 2010? Aston Martin is the latest name to be linked with an entry in the 2010 Formula One World Championship as the FIA seeks to introduce its £30m budget-cap formula. USGPE, the American based outfit led by Ken Anderson and Peter Windsor has already announced its intention to enter F1 next season, while race legends Lola have now admitted to be carrying out a feasibility study. Now, according to The Times, David Richards is on the verge of bringing one of motor sport's famous names, though primarily associated with Sports Car racing, back into F1. "This is a great time to come in," says Richards. "If budgets are capped to a sensible level, everybody will benefit. Instead of Formula One being a contest of the teams with the most money, it will become a championship for engineers with ingenuity and great drivers who can show their skill, as it was years ago." Richards was due to enter F1 in 2007 having secured the so-called 'twelfth entry'. However, the row over customer chassis - he was scheduled to use a McLaren-Mercedes package, together will all manner of other political in-fighting, gave the Englishman cause to have second thoughts. 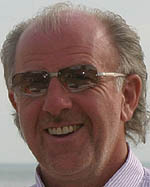 Subsequently, when Honda withdrew from F1 at the end of 2008, Richards was linked with a buy-out of the Brackley team. However, with the global recession just beginning to bite and the FIA not yet having set out its stall in terms of its plan for a new era of cost effective F1, it was not to be. Now, on the verge of the sport's governing body confirming the new £30m formula, and no doubt swayed by the news of USGPE and Lola, Richards has admitted that he is giving the mater some serious consideration, though he stops short of announcing a definite plan to submit an entry. "Nothing is decided yet," he told The Times. "But the key to all of this is the financial reality that the budget cap will bring. Take a £300 million budget and, in reality, all you really need is a tenth of that. Things just got hopelessly out of control. What Max has come up with is not just eminently sensible but crucial to the survival of the sport. This way, new teams can become involved at a sensible price and with a chance of being competitive." According to Pitpass' sources, others seriously considering the new £30m formula include Dallara (possibly with ART), Nick Wirth, Racing Engineering and Colin Kolles in partnership with Franz Hilmer of Formtech GmbH, the company that bought Super Aguri. Cosworth is understood to be revising its CA06 engine to supply whoever wins.